Evictions of tenants living in rent-controlled units are on the rise all across Los Angeles, as land developers realize they can make more money by demolishing a rent-controlled building and cash in big-time by building new market-rate or luxury housing in its place, according to the L.A. Times. In a new report, the Times found that more than 1,000 rent-controlled units were removed from the rental market in 2014, nearly three times as many in 2013. At the same time, evictions from similar apartments have doubled, though the LAT did not include specific numbers on those evictions. Landlords are technically allowed to evict tenants if they intend to either take the housing off the rental market or demolish the building and build new apartments. The 1985 Ellis Act sets these provisions, though also mandates that any new units built after Ellis Act evictions would be subject to rent-control as well. The Times uses the story of Dee Ann Newkirk to illustrate the point. Newkirk lives in a rent-controlled apartment in Beverly Grove, paying $1,350 to live in a one-bedroom unit. A development company, Wiseman Residential, has purchased and demolished several buildings on her block. Wiseman also recently acquired the building Newkirk lives in, prompting her to worry that she too will soon be facing eviction. Stuff like this happens all the time, unfortunately. Last year, a group of evicted tenants from Santa Monica rallied together and decided to sue their former landlord they were replaced by Airbnb tourists. The Times also points out that the lions share of these evictions are happening in Westside neighborhoods like Sawtelle and Beverly Grove, where demand for new luxury housing is through the roof. It’s critical to note that Los Angeles’ stock of rent-controlled units totals north of 641,000 units. 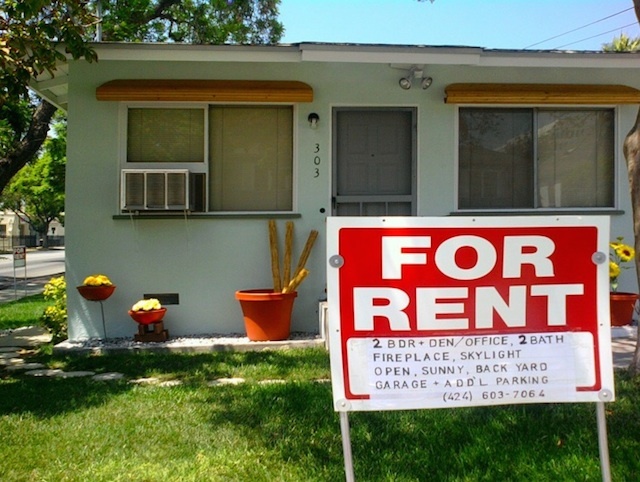 The 1,000 rent-controlled units lost in 2014—and even the total 20,000 units lost since 2001—represent a very small portion all rent-controlled units in L.A.
At the same time, Los Angeles has one of the tightest, most unaffordable rental markets in the entire country. Vacancy rates are extremely low, just 2.7 percent compared to a 7 percent national average, according to KPCC. A unit is considered “rent-controlled” if it is inside a building that was built before October of 1978. Where newer units are subjected to more arbitrary rent increases, a unit that’s designated rent-controlled is limited to a 3 percent annual increase for existing tenants. New tenants in rent-controlled buildings are subject to market rate rent, but future increases are still limited to 3 percent annual increases. Incidentally, L.A City&apos;s planning department made a tool available for the public earlier this year that can help you determine whether or not a unit you’re eyeing is rent-controlled or not.